For prize-winning poet Tiana Clark, trees will never be just trees. They will also and always be a row of gallows from which Black bodies once swung. This is an image that she cannot escape, but one that she has learned to lean into as she delves into personal and public histories, explicating memories and muses around race, elegy, family, and faith by making and breaking forms as well as probing mythology, literary history, her own ancestry, and, yes, even Rihanna. I Can’t Talk About the Trees without the Blood, because Tiana cannot engage with the physical and psychic landscape of the South without seeing the braided trauma of the broken past—she will always see blood on the leaves. Tiana Clark is the author of Equilibrium, selected by Afaa Michael Weaver for the 2016 Frost Place Chapbook Competition. She is the winner of the 2017 Furious Flower’s Gwendolyn Brooks Centennial Poetry Prize, 2015 Rattle Poetry Prize, and winner of a 2019 Pushcart Prize. Clark was the recipient of the 2017-2018 Jay C. and Ruth Halls Poetry Fellowship at the Wisconsin Institute of Creative Writing. Her writing has appeared in or is forthcoming from The New Yorker, Kenyon Review, American Poetry Review, New England Review, Best New Poets 2015, BOAAT, Crab Orchard Review, Thrush, The Journal, and elsewhere. She teaches creative writing at Southern Illinois University at Edwardsville. 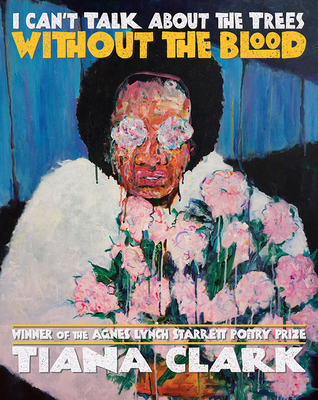 "It's in this boundless imagination and versatility that Clark earns a place among the pantheon of such emerging black poets as Eve Ewing, Nicole Sealy, and Airea D. Matthews." "Clark bridges a Tennessee landscape's past and present in her stellar debut, evincing a potent mix of history, injury, and divided identity." "An honest, punch-angry portrait of being American while black."